As the Springfield Symphony Orchestra prepares to kick off its 75th season on Sept. 22 with “Gershwin, Copland, and Bernstein,” it faces a host of challenges shared by most orchestras its size, especially a changing, shrinking base of corporate support and a need to make its audiences younger. Susan Beaudry, the SSO’s executive director, says the way to stare down these challenges is through imaginative responsiveness — and especially greater visibility through stronger outreach. And she’s doing just that. 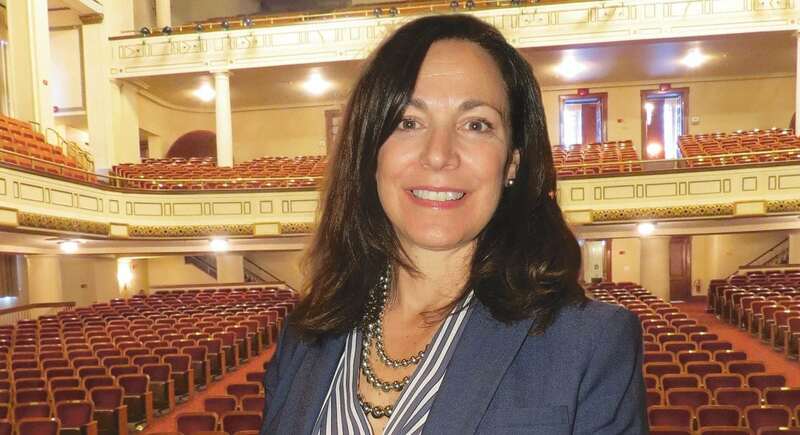 Susan Beaudry says there’s a great deal of significance attached to the fact that the Springfield Symphony Orchestra turns 75 this season — starting with the harsh reality that fewer institutions of this type are reaching that milestone. Indeed, several orchestras, including one in New Hampshire, have ceased operations in recent years, and many, if not most, others are struggling to one degree or another, said Beaudry, executive director of the SSO for more than a year now. The reasons have been well-documented — the decline of many urban centers where such orchestras are based, falling attendance, declining corporate support, ever-increasing competition for the public’s time and entertainment dollars, and an inability to attract younger audiences are at the top of the list. The SSO is confronting these obstacles as well, Beaudry told BusinessWest, as well as the additional challenge of not knowing who will manage its home (Symphony Hall) after the Springfield Performing Arts Development Corp. announced last week that it will no longer manage that venue and CityStage, leaving the immediate future of those venues in doubt. But while the institution is not as healthy financially as it has been in the past, it embarks on its 75th season on solid footing (there’s been a 20% increase in the annual fund since Beaudry’s arrived, for example), with determination to stare down the challenges facing it and seemingly all arts institutions, and optimism that an improving picture in Springfield and especially its downtown will benefit the SSO moving forward. And Beaudry is a big reason for all of the above. She brings to her role experience with not only fund-raising but business management — she’s a graduate of the Isenberg School of Management at UMass Amherst, began her career as a national and international product marketing manager for Gardner-based Simplex, and operated her own restaurant. She’s calling on that wealth of experience to create a new business plan for the orchestra — figuratively but also literally — that focuses on raising the profile of the SSO, introducing more people to orchestral music, and taking full advantage of what is, by most accounts, a rising tide in Springfield and its downtown. Summing it all up, she said the orchestra has to do much more than what it’s done through most of first 75 years — perform about once a month, on average, at Symphony Hall. “One thing that I’ve recognized since I’ve been here is that we can and must do a better job with our outreach and education and sharing the good work that we do with the community,” she explained. “If you’re always doing your product behind closed doors, then it’s easy for other people to decide who you are and to give you an identity in the community. 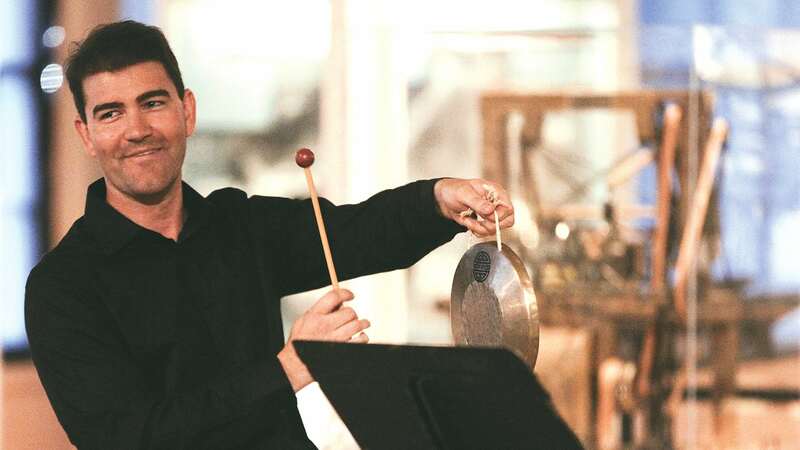 Principal percussionist Nathan Lassell was one of the SSO musicians featured at a recent performance at the Springfield Armory, an example of the orchestra’s efforts at greater outreach within the community. “So it’s our job to open those doors, to get out, and to be playing,” she went on, adding that there have already been some good examples of this effort to move beyond Symphony Hall and creating more visibility. There was the SSO string quartet playing in the renovated National Guard Armory building at MGM Springfield’s elaborate gala on the eve of its Aug. 24 opening. There was also a sold-out performance of percussionists at the Springfield Armory on Sept. 1, a performance that Beaudry described as “the coolest chamber event concert I’ve ever seen in my life,” and one that did what needs to be done in terms of changing some perceptions about the institution. There will be more such performances in the future, including 4U: A Symphonic Celebration of Prince, an MGM presentation featuring the SSO, on Sept. 18, said Beaudry, adding that, overall, the orchestra, at 75, must create the opportunities and support system it will need to celebrate 100 years and the milestones to follow. It’s a challenge Beaudry fully embraces and one she’s essentially spent her career preparing for. And she believes the timing is right for the SSO to hit some very high notes moving forward. It’s called the League of American Orchestras. That’s the national trade association, of you will, for symphony orchestras. The group meets twice annually, once each winter in New York and again in the spring at a different site each year; the most recent gathering was in Chicago. 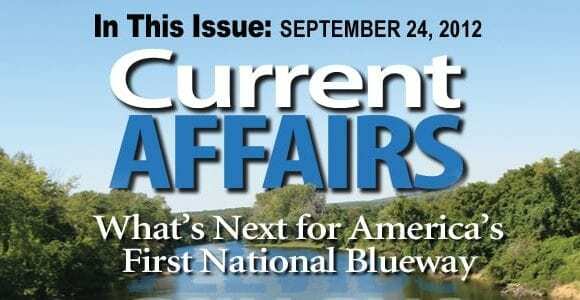 At that meeting, as at most others in recent years, the topics of conversation have gravitated toward those many challenges listed earlier, and especially the one involving lowering the age of the audiences assembling at symphony halls across the country. Chicago and New York are only a few of the dozens of cities Beaudry has visited in her business travels over the course of her career, especially when working for Simplex, maker of the time clock, among many other products, as divisional senior marketing director — specifically, a division devoted to a fire-suppression and alarm product line. “This was a job where you on a plane every Monday, and you didn’t come home till Friday,” she explained, adding that this lifestyle — especially eating out all the time — helped inspire what would become the next stage in her career, as a restaurateur. “As a result of all this travel, I became very interested in regional cuisine,” she explained. “When you’re the marketing person visiting from headquarters, they want to take you to what they’re proud of — their symphony, their museum, their opera, and their best restaurant; after a while, those meals start to grow a little thin, as do your pants. So much so that, when she became a mother, and that ‘get on a plane Monday, return home on Friday’ schedule wasn’t at all appealing anymore, Beaudry, after staying at home for a few years, opened her own restaurant, Main Street Station, in Chester, not far from her home and where she grew up, and just down the street from the Chester Theater Company, which her parents ran. She described the venture as a hobby, one she pursued for three years, before “returning to work,” as she called it, specifically with the Boston Symphony as director of the corporate fund for Tanglewood. She stayed in that job for seven years before being recruited to South Florida to set up the annual fund for Junior Achievement, before returning to this region. She said she was approached by David Gang, president of the SSO (he’s still in that role) and encouraged to apply for the open position as director of Development for the orchestra. She did, and came aboard nearly three years ago. Beaudry said she welcomed the opportunity to succeed Salerno, and for a number of reasons. First and foremost, there was the opportunity to lead an orchestra, one of her career goals. But there was also the opportunity to orchestrate (no pun intended) what would have to be considered a turnaround effort for the institution. And as she commenced that assignment, she did so knowing that she had a number of strong elements working in, well, harmony. Starting with the conductor, Kevin Rhodes, who has been with the SSO for 18 years, remarkable longevity in that profession, and has become in ways a fixture within the community. Another strong asset was the board, Beaudry went on, adding that many of the 30-odd members have been with the institution for many years and thus bring not only passion for the SSO but a wealth of experience to the table. But a well-known, community-minded conductor and a committed board are only a few of the ingredients needed for success in these changing, challenging times, said Beaudry. Others include imagination, persistence, and a willingness to broaden the institution’s focus (and presence) well beyond what would be considered traditional. And this brings us back to that list of challenges facing the SSO and all or most institutions like it, starting with the development side of the equation, where the corporate landscape is changing. Elaborating, Beaudry said that, in this market and many others, fewer large companies remain under local ownership, and thus there are fewer potential donors with keen awareness of the institution, its history, and importance to the city and region — a reality far different than what she experienced in Boston. Then, there’s the growing competition for the time and entertainment dollars of the public, she noted, especially the young professionals that comprise the constituency the SSO — and all arts institutions, for that matter — are trying to attract. In this environment, which, she stressed again, is not unique to the city and this symphony orchestra, greater outreach, and making more introductions, is all-important. “If the environment’s changed and you’re still doing the same things, eventually you’re going to see your own demise,” she said. “So you need to be reactive and responsive. One of the things I’ve done is increase the number of events that we have. Events are a nice way to introduce yourself to the community, shake a lot of hands, and meet a lot of people in one evening — and from there you can build further relationships and start meaningful relationships around giving. This was the case at the Armory concert and the performance at MGM’s grand opening, she said. Hearkening back to the former, she said it’s clearly an example of what the SSO needs to do more often — partnering with other organizations and institutions within the community and putting itself in front of before new and different audiences. And the performance resonated, she said, not just in enthusiastic applause for the performers, but, perhaps even more importantly, in pledges for all-important financial support. While adding more events, the SSO is also adding more family-oriented performances to its lineup, said Beaudry, adding that, in addition to the annual holiday celebration in early December, there will be On Broadway with Maestro Rhodes, featuring songs from Oklahoma, Carousel, Guys and Dolls, and other Broadway hits, and also a Movie Night with Maestro Rhodes, featuring music from Gone with the Wind, Casablanca, Lawrence of Arabia, and many other timeless hits. Moving forward, Beaudry said the opening of MGM’s resort casino and the coming of big-name acts like Stevie Wonder, who performed on Sept. 1, and Cher, who’s coming to Springfield on April 30, will bring more people to Springfield and, hopefully, expose them to more of its assets, like the SSO, CityStage, and others. Taking in a performance by a symphony orchestra would be a new experience for many, and moving forward, it is Beaudry’s goal — and mission — to make it something … well, less new. It’s a challenge facing all those attending meetings of the League of American Orchestras, and one that can only be met, as she’s said repeatedly, by being imaginative, responsive, and reactive. Beaudry and the SSO are working diligently to be all those things, and because of that, and to borrow a term from this industry, things are more upbeat.